Werner Heisenberg was a German physicist and philosopher who is noted for his crucial contributions to quantum mechanics. He devised a method to formulate quantum mechanics in terms of matrices, for which he was awarded the 1932 Nobel Prize for Physics. Heisenberg is widely considered as one of the most influential figures in nuclear physics, particle physics and quantum field theory. 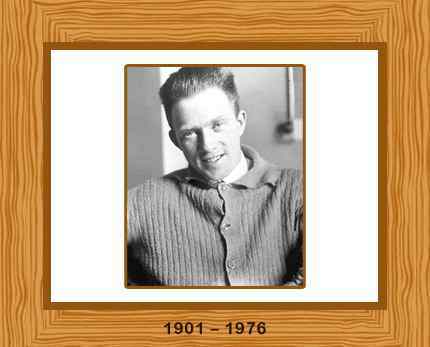 Born in Würzburg, Germany on 5 December in 1901, Werner Heisenberg’s father was a prominent secondary school teacher. Heisenberg went to the Ludwig-Maximilians-Universität München and the Georg-August-Universität Göttingen, where he studied physics and mathematics from 1920 to 1923. He earned his doctorate in 1923. Werner Heisenberg ranks alongside Niels Bohr, Paul Dirac and Richard Feynman as far as his influence on contemporary physics is concerned. He was one of the most important figures in the development of quantum mechanics, and its modern interpretation. Heisenberg formulated the quantum theory of ferromagnetism, the neutron-proton model of the nucleus, the S-matrix theory in particle scattering, and various other significant breakthroughs in quantum field theory and high-energy particle physics are associated with him. As a prolific author, Heisenberg wrote more than 600 original research papers, philosophical essays and explanations for general audiences. His work is still available in the nine volumes of the “Gesammelte Werke” (Collected Works). Heisenberg is synonymous with the so-called uncertainty, or indeterminacy, principle of 1927, for one of the earliest breakthroughs to quantum mechanics in 1925, and for his suggestion of a unified field theory, the so-called “world formula”. He won the Nobel Prize for Physics in 1932 at the young age of 31. Heisenberg stayed firmly in Germany during the worst years of the Hitler regime, heading Germany’s research effort on the applications of nuclear fission during World War II. He also played a vital role in the reconstruction of West German science after the war. Heisenberg’s role was crucial in the success of West Germany’s nuclear and high-energy physics research programs. In his later years, Werner Heisenberg assumed various influential positions in Germany and abroad, giving important lectures on theoretical physics and other subjects. He died of cancer of the kidneys and gall bladder on February 1, 1976. Heisenberg was 74 years old.